Below you fill find all funeral homes and cemeteries in or near Decorah. Suburbs of Decorah: Bluffton, Burr Oak, Freeport, Hesper, Locust, Nordness, Quandahl, Sattre. 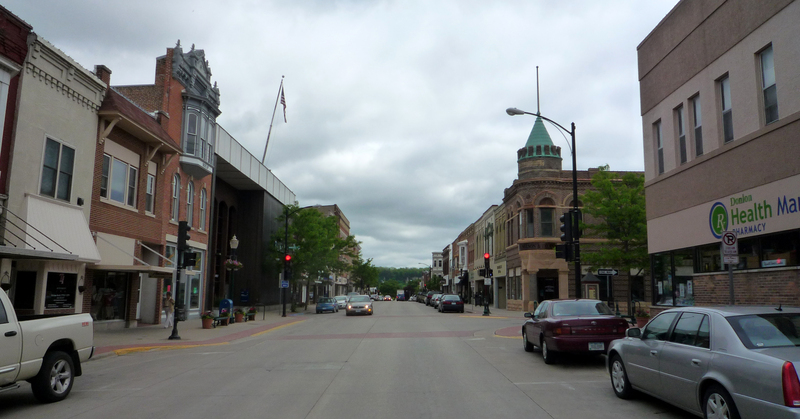 Decorah is also known as: Winneshiek County / Decorah city. Zip codes in the city: 52101. Winneshiek County funeral flowers can be purchased from one of the local funeral shops we partner with. Some of the notable people born here have been: Mark Pinter (actor). Decorah is a city in and the county seat of Winneshiek County, Iowa, United States. The population was 8,127 at the 2010 census. Decorah is located at the intersection of State Highway 9 and U.S. Route 52, and is the largest community in Winneshiek County. It was revealed on January 13th, 2019 that Lois Jeanette Geving (Gyere) passed away in Chandler, Arizona. Ms. Geving was 79 years old and was born in Decorah, IA. Send flowers to share your condolences and honor Lois Jeanette's life. It was reported by Waterloo/Cedar Falls Courier on December 30th, 2018 that Mary Lou Neuzil perished in Decorah, Iowa. Neuzil was 98 years old. Send flowers to share your condolences and honor Mary Lou's life. It was revealed by Waterloo/Cedar Falls Courier on October 14th, 2018 that Darlene M Iverson died in Decorah, Iowa. Iverson was 84 years old. Send flowers to share your condolences and honor Darlene M's life. It was written on October 4th, 2018 that Paul Arnold Strand perished in Effingham, Illinois. Strand was 75 years old and was born in Decorah, IA. Send flowers to express your sorrow and honor Paul Arnold's life. It was written by Des Moines Register on October 3rd, 2018 that Jeffrey W "Jeff" Kovacevich passed away in Decorah, Iowa. Kovacevich was 64 years old. Send flowers to express your sympathy and honor Jeffrey W "Jeff"'s life. It was disclosed on September 19th, 2018 that Helen Kelling (Taylor) perished in Tallahassee, Florida. Ms. Kelling was 87 years old and was born in Decorah, IA. Send flowers to share your condolences and honor Helen's life. It was noted by Hartford Courant on August 26th, 2018 that Marion G Cook (Miller) perished in East Granby, Connecticut. Ms. Cook was 77 years old and was born in Decorah, IA. Send flowers to express your sympathy and honor Marion G's life. It was reported on May 13th, 2018 that Jean A Kadlec passed on in Decorah, Iowa. Kadlec was 91 years old and was born in Clearwater, FL. Send flowers to share your condolences and honor Jean A's life. It was written on May 10th, 2018 that Philip Edward Pape passed away in Decorah, Iowa. Pape was 88 years old and was born in Milwaukee, WI. Send flowers to share your condolences and honor Philip Edward's life. It was reported by Waterloo/Cedar Falls Courier on March 19th, 2018 that Ruth Bjonerud passed away in Decorah, Iowa. Bjonerud was 84 years old. Send flowers to express your sorrow and honor Ruth's life. Decorah is located at the intersection of Iowa State Highway 9 Highway 9 and US Route 52. Originally settled by the Day Family in 1849, Decorah has become popular as a center for Norwegian-American culture originating from a high number of Norwegian settlements beginning in the 1850s. Decorah is also the home of the Vesterheim Norwegian-American Museum, the largest museum in the country devoted to one single immigrant group. Each July Decorah is also the host of Nordic Fest, a celebration of Norwegian culture with ethnic dancing, food, and music. The population was 8,172 at the United States Census, 2000 census. Decorah is a city in and the county seat of Winneshiek County, Iowa County, Iowa, United States. Lindstrom Funeral Home in Harmony is handling the arrangements ... three brothers, Duane (Denise) of Decorah, Iowa, Mike (Cindy) of Canton, and Dan (Marge) of Canton. He is also survived by 12 grandchildren, and many nieces and nephews. Listing all funeral homes in Decorah, Iowa so you can easily send flowers to any location (same day delivery) or find any funeral service. Funerals in Decorah, IA on Yahoo! Local Get Ratings & Reviews on Funerals with Photos, Maps, Driving Directions and more. Find funeral directors & Funeral Directors in Decorah, IA. Read business reviews, find driving directions, and more. funeral directors on YELLOWPAGES.COM. We work with local florists and flower shops to offer same day delivery. You will find budget sympathy flowers in Decorah here. Our funeral flowers are cheap in price but not in value.